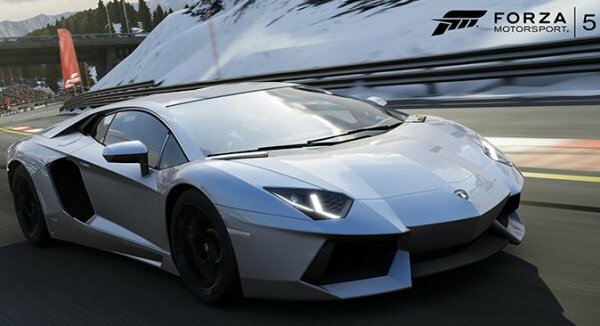 Another Wednesday, another new list of vehicles that will grace the virtual race tracks of Forza Motorsport 5 for Xbox One – adding 22 more vehicles to the list and bringing the running total to 130 vehicles. The latest group of fresh Forza 5 vehicles includes a very diverse spread of cars but every single one of them is a 2 door (or 3 door if you want to be technical on some of the hatchbacks) sports car…no sedans, trucks or sport utility vehicles. Japanese automaker fans will be happy to see the Nissan 240SX SE, the 1993 Nissan Skyline GT-R V-Spec and the 2010 Lexus LFA while lovers of European brands can now look forward to the likes of the 2013 Audi R8 Coupé V10 plus 5.2 FSI Quattro, the 2011 BMW 1 Series M Coupe, the 2012 Lamborghini Aventador LP700-4 and the 1984 Ferrari GTO. For those American muscle car fans, the 2012 Dodge Challenger SRT8 392, the 1969 Chevrolet Nova SS 396 and 1970 Mercury Cougar Eliminator join the list of high performance coupes from the Detroit Big 3. This list includes the first two Jaguar models along with a pair of Audi models that make their models the most populous on the list thus far with a total of 9. Now that Forza Motorsport 5 maker Turn 10 has confirmed this list of 22 vehicles, the total has now risen to 130 available cars, trucks and sport utility vehicles from around the world and with four weeks until Forza 5 hits shelves simultaneously with the new Xbox One gaming system – we can expect several more car list additions before FM5 hits. Of course, at the rate of 22-24 per week, we will likely only know about roughly 240 vehicles and with Forza Motorsport 4 having well over 600 cars, there will surely be some vehicles that are not teased ahead of the debut of the game.